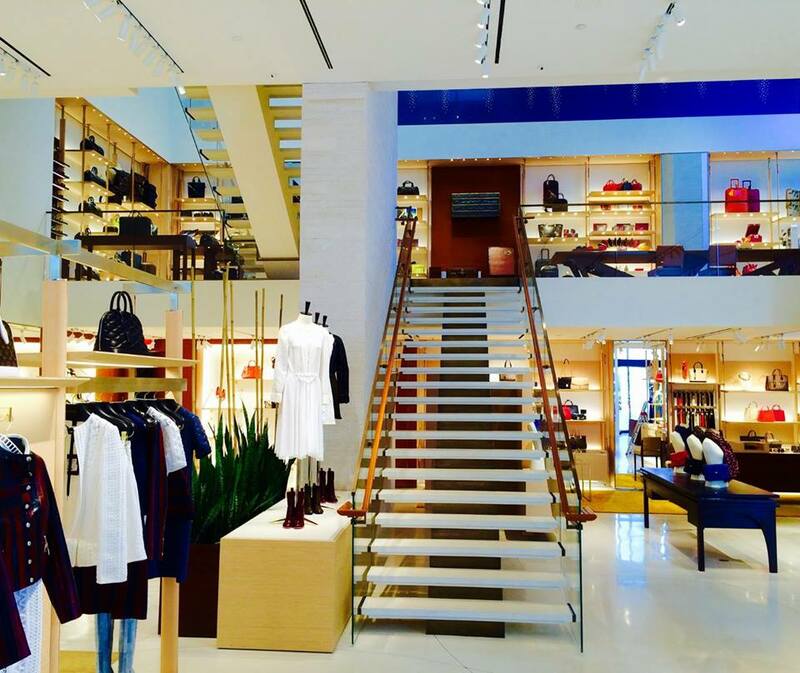 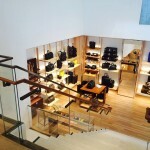 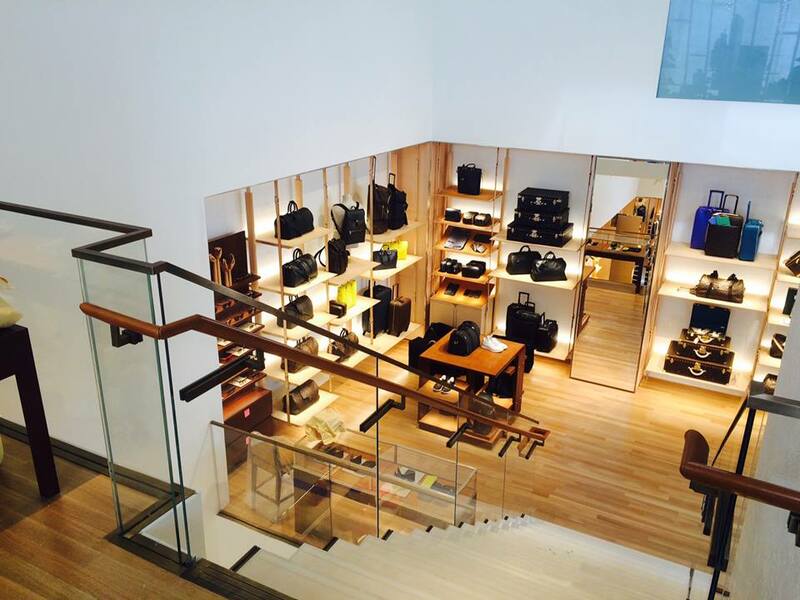 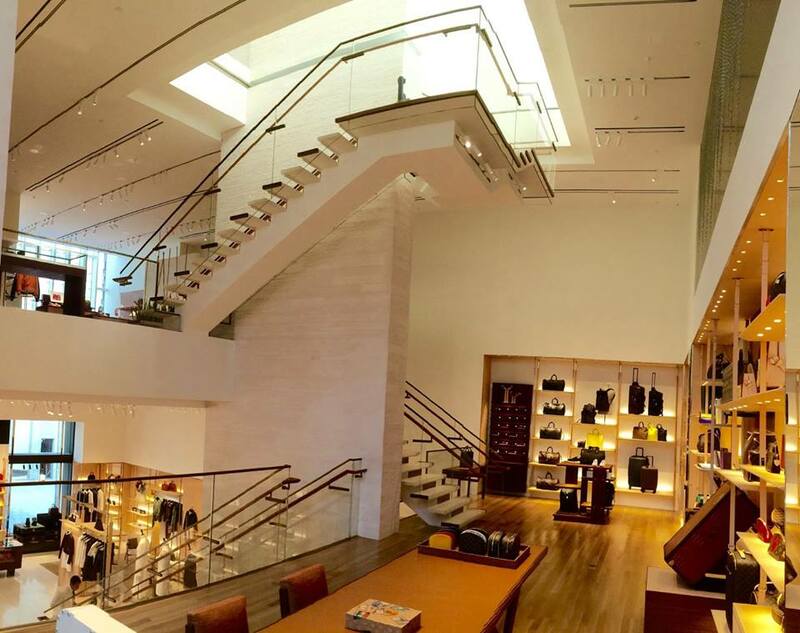 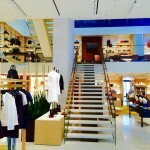 A high-end department store in the Miami Design District area received a new stair design that is truly a masterpiece! 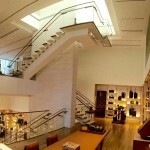 The location was all new construction and the architect had a specific design envisioned. 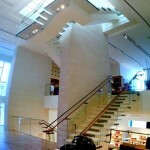 Standing four levels high, this uniquely engineered and designed staircase connected the ground, mezzanine, second floor, and third floor. 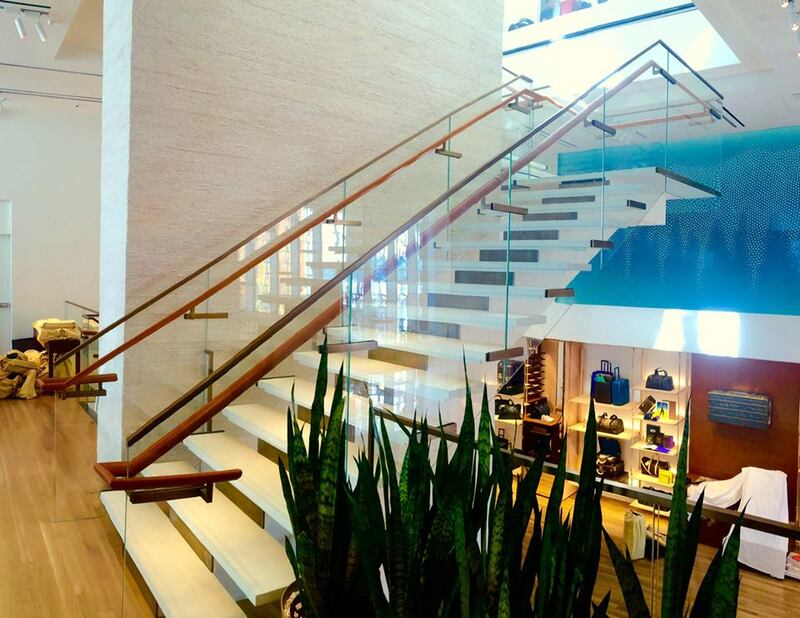 Featuring countless linear feet of floating starphire glass guardrails installed throughout each floor, leather wrapped handrails, and custom stained brass cap rails & brass elements. 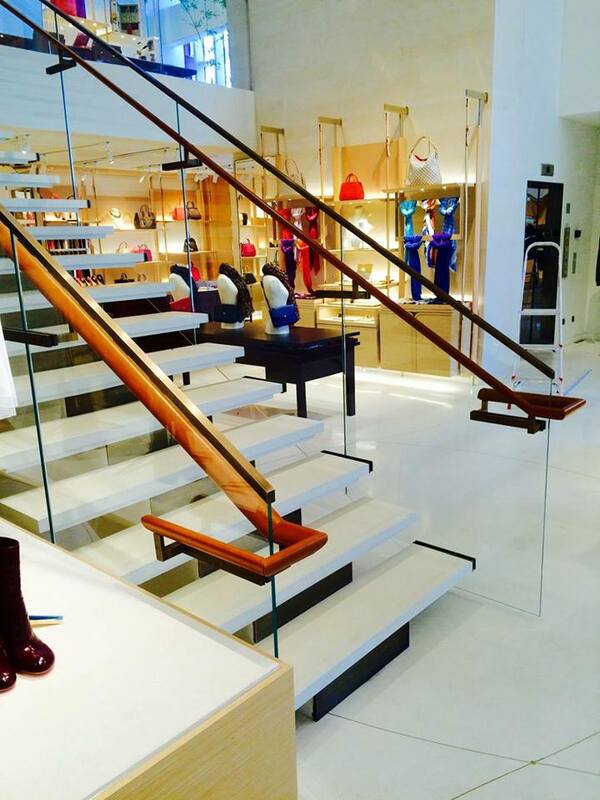 The leather wrapped handrails were mounted directly onto the floating glass railings, and the custom brass cap rails were top mounted. 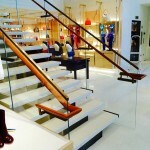 The third flight of stairs was connected at only two points and features a floating landing in between the third and fourth floor. 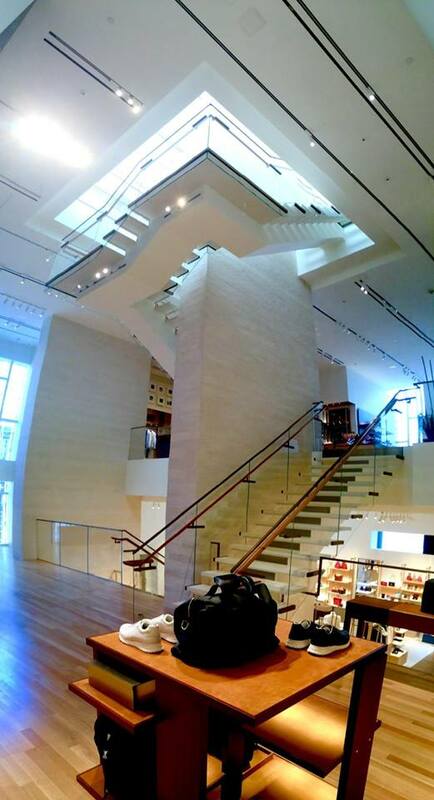 As you reach the fourth floor, you can enjoy the entire view of this high-end staircase design below. 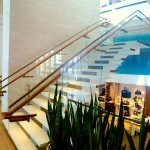 Another happy client for Bella Stairs!